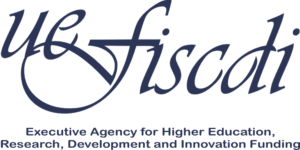 Mission: UEFISCDI plays both roles of a higher education funding agency and as a main actor in funding research, development and innovation in Romania. UEFISCDI manages, partially or entirely, four out of the five programmes of the National Plan for Research, Development and Innovation 2015-2020 (PN III). 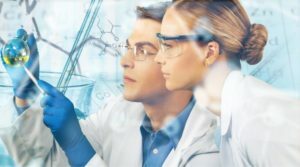 Along with this main role, UEFISCDI actively supports and provides advice for science, research and innovation policies targeting various types of research and innovation activities (exploratory and applied research, innovation, technology transfer and foresight). UEFISCDI constantly strives for achieving quality, leadership and institutional development in the research and innovation area by implementing foward-looking projects targeting, among others, future and internationalization of higher education, science, innovation and research infrastructures, ensuring the efficiency and effectiveness of the RDI system, enabling circulation of knowledge. Apart from financing and supporting research and innovation nationally, UEFISCDI is a promoter of international collaboration in science and excellent research. Vision: UEFISCDI’s vision is to promote quality and leadership for higher education, research, development and innovation and to assure policy advice and support for HE and RDI.